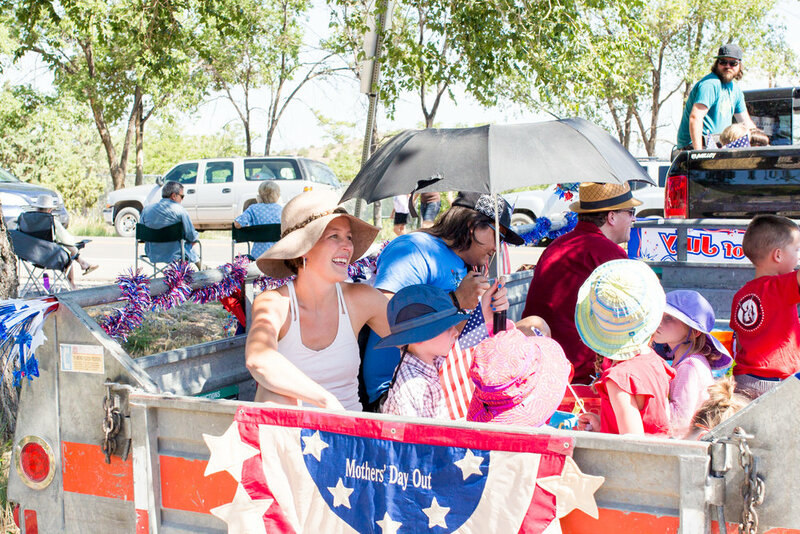 The Placitas Mother's Day Out program (generally referred to as just "MDO") was founded in 1989 to provide community-oriented, non-denominational daycare for children 18 months to 5 years in the Placitas, Bernalillo, and Rio Rancho areas. Using a cooperative childcare arrangement where members serve as the teacher's assistant for one day every 1-3 months (or alternately pay a fee), prices are kept astonishingly low while ensuring children have the best care. Members of MDO truly get to know each other and care for one another, all while helping their children to learn through play and compassionate conflict resolution. Despite its legacy program name, MDO is for all caretakers of small children, regardless of gender and relationship. Although our core hours are 8:00 a.m. to 3:00 p.m., extended hours are available for those with different needs (see more under Fees & Hours). In addition, while many MDO members are stay-at-home mothers, we've had plenty of stay-at-home dads, grandparents, other caretakers of various relationships, and working parents make MDO their home, too! And if you're curious about the "serving Rio Rancho" part, yes, we've had several members drive in all the way from Rio Rancho because they were so impressed with our caring atmosphere and community focus. In addition, all caretakers are invited to attend our regular meetings, where the MDO team decides how to revise and adapt to its members' needs. We're always growing and changing! Worried about keeping up? Not a problem! To help streamline the coordination process, we have a growing pool of digital resources to help you keep up with our procedures and deadlines in addition to an online calendar that can easily be added to most online calendars. But we don't forget the personal touch, either; a mentor (read: MDO member with experience) will be assigned to you to help you settle in and get you familiar with our processes once you've joined the MDO team. When you join Placitas MDO, you join a community. 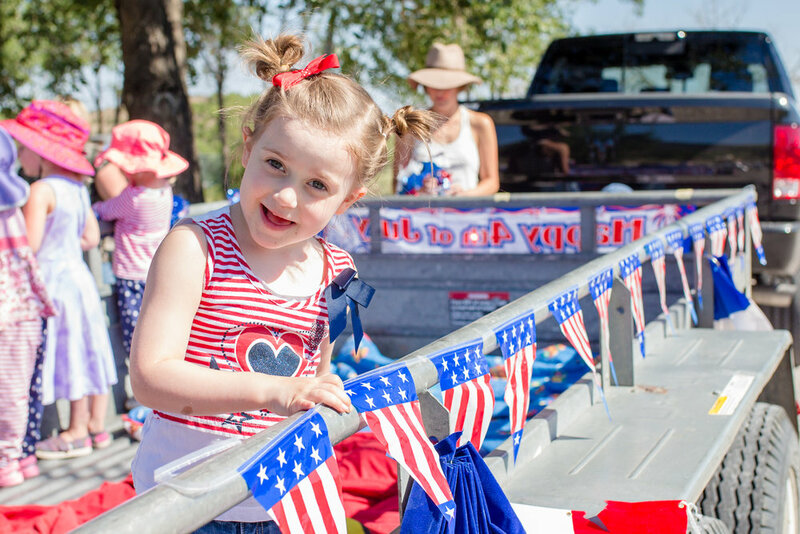 Birthdays are celebrated at MDO, parents truly get to know the kids, and community events like the 4th of July parade provide fantastic opportunities to connect. Many parents new to the area truly find their home here. When you're in MDO, you have a team. Hear it straight from our MDO Members! Click the photo or click here for testimonials & photos, all for your perusal. If you'd like to contact our Director or schedule a drop-in, head over to our contact page. And if you'd like to see more of our past activities, fundraisers, etc., head on over to our Facebook page.